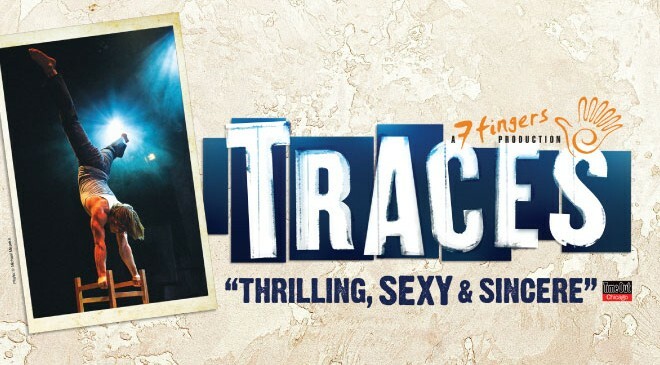 TRACES features Creative Direction by 7 Fingers (Les 7 Doigts de la Main) and Direction & Choreography by Shana Carroll & Gypsy Snider. TRACES is performed by Mason Ames, Valérie Benôit-Charbonneau, Lucas Boutin, Mathieu Cloutier, Bradley Henderson, LJ Marles and Phillipe Normand-Jenny with alternate cast members Héloïse Bourgeois, Sen Lin, and William Underwood. The Center offers sign language interpretation upon request. To schedule, contact the Box Office at least two weeks prior to the event. These requests are subject to the availability of an interpreter. Audio Description is schedule for select events throughout the year. Using a single earpiece connected to a headset, patrons who are blind or have low vision can listen to trained audio describers give live, verbal descriptions of actions, costumes, scenery and other visual elements of a performance. To find out more about this service, contact the Box Office at 214-880-0202.